Please select a minimum of three sectors in the menu above. Try us on a trial basis. 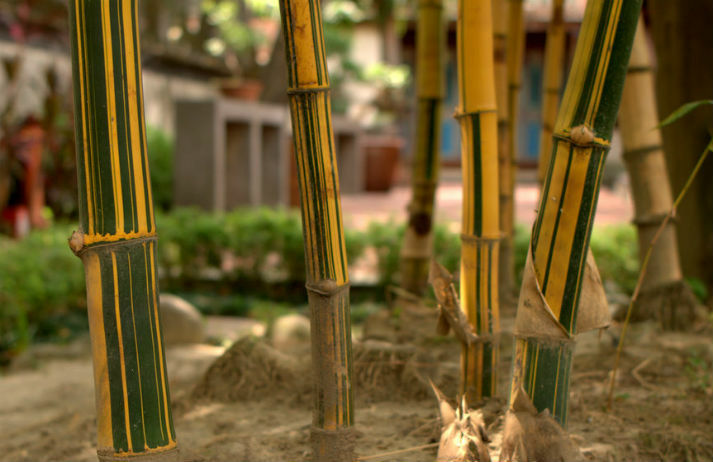 Bamboo isn’t just the stuff that pandas have for dinner; it’s a durable, sustainable and versatile material. Furniture designers have been utilising its natural strength for quite some time, but it's now being used to produce underwear, bedding and even electronics. People are increasingly aware of their impact on the environment, whether that's related to what they're wearing or what they're eating. So it makes sense that a growing number are also seeking more eco-friendly products in preparation for their next spring clean. Everyone knows that bringing nature into the home is good for the soul; plants are proven to purify the air and reduce stress. But in a collaboration with designer Ilse Crawford, IKEA has taken this idea one step further. Its SINNERLIG collection is entirely crafted from natural materials. From coconut water to iced tea, drinks brands are continuously vying to produce the next 'super drink' – and Bamboo Water believes it's cracked it. Harnessing the neglected nutritional properties of bamboo leaves, the brand is positioned as both healthy and ecologically sustainable. Over the last decade, brands have made a real effort to ‘go green’ – and they expect a positive response. But a study by Yale suggests that people are actually less likely to buy if the environmental benefit seems intentional. So how should a brand demonstrate its green credentials? CANVAS8 LTD will be what's known as the 'Controller' of the personal data you provide to us. We only collect basic personal data about you which does not include any special types of information or location based information. This does however include name, address, email etc. We need to know your basic personal data in order to provide you with details of products that are of interest to you and to deliver our services to you the user. We will not collect any personal data from you we do not need in order to provide and oversee this service to you. All the personal data we process is processed by our staff in the UK however for the purposes of IT hosting and maintenance this information is located on servers within the European Union and the United States. All 3rd parties with access to your data do so to help ensure we are able to store your data securely and deliver our services accordingly. We have assurances from all 3rd party providers that they will protect your data and not use the information beyond the services we agree to. We are required keep your basic personal data (name, address, contact details) for as long as required to deliver your services to you as a user. Your information we use for marketing purposes or business development purposes will be kept with us until you notify us that you no longer wish to receive this information. We review all our data records every 12 month to ensure they are kept up to date and any unnecessary data is deleted. If at any point you believe the information we process on you is incorrect you have the right to request to access the information and even have it corrected or deleted. If you wish to raise a complaint on how we have handled your personal data, you can contact us at [email protected] and we will investigate the matter.